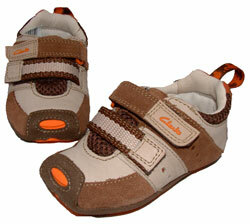 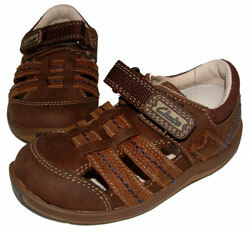 Clarks Adven Jump – Active kids will impress their friends in these on-trend lightweight trainers. 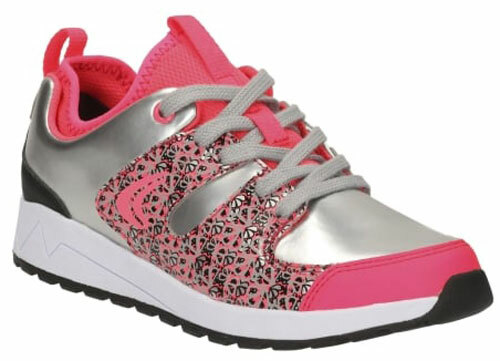 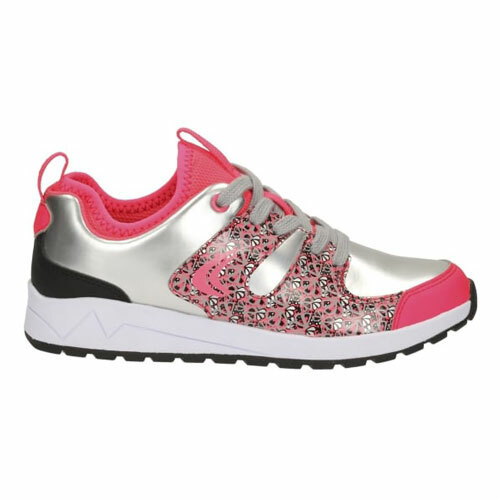 Striking metallic silver and pink enhance these athletic trainers with a pretty pattern decorating the sides. 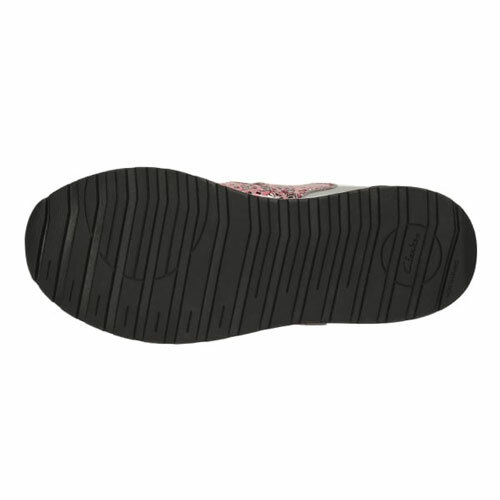 Lace fastenings provide a secure, comfy fit, while a durable non-marking outsole offers grip. 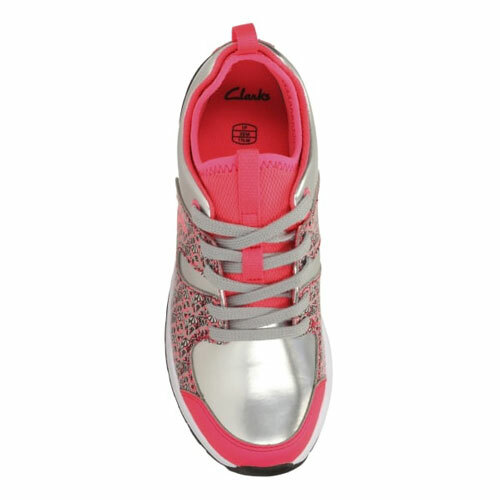 Lined with Agion antimicrobial textile, the Clarks Adven Jump junior trainers keep active feet feeling fresh throughout the day.